Dry Lavender In Mortar, Aromatic Pink Sea Salt, Cream, Bottles.. Stock Photo, Picture And Royalty Free Image. Image 47666051. 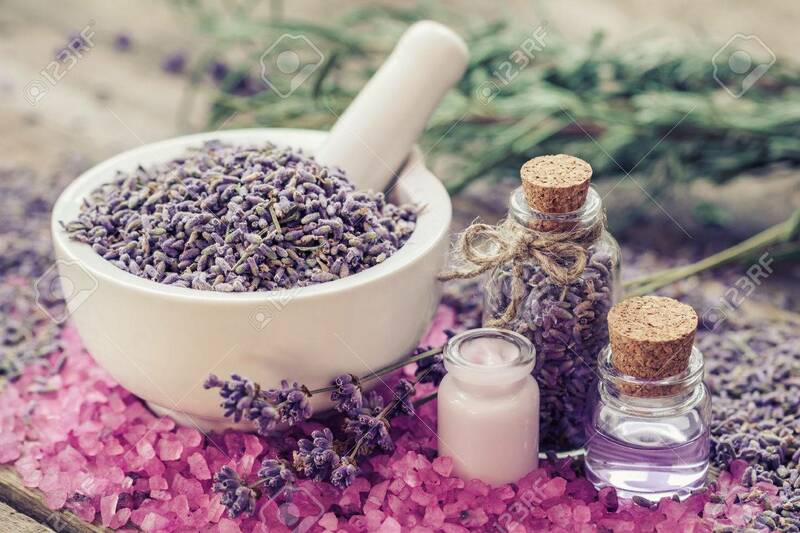 Stock Photo - Dry lavender in mortar, aromatic pink sea salt, cream, bottles of essential oil and lavender flowers. Selective focus. Dry lavender in mortar, aromatic pink sea salt, cream, bottles of essential oil and lavender flowers. Selective focus.